Did you ever have a gut feeling after spotting a watch for the first time as if you instantly knew it was going to be your watch? The intuition that this particular watch travelled through time only to become yours…? Anyhow, Luc’s friend Gabriel, inspired by the vivid conversation with his buddy, decided a 6152/1 would probably fit him best. The following day was a Saturday. Gabriel was perparing a gourmet dinner for friends and during a short break he had a look at Instagram. While swiftly scrolling through the posts, he all of a sudden spotted a typical Panerai crown guard. A beautiful example of a 6152/1 with classic LUMINOR PANERAI dial and gorgeously aged hands was smiling at him from the glossy retina screen of his iPhone. No description, just a simple “FS” (for sale). Gabriel immeditely sent an Instagram direct message to the profile owner to indicate his interest. During the following phone call with the collector and vintage watch dealer who had posted the photo of the 6152/1, Gabriel was informed that the watch had been consigned by the daughter of the owner and that this watch was not just any 6152/1… This watch bore a very rare “C.C.” matriculation number (C.C. = Corpo dei Carabinieri = Italian military force charged with police duties). The owner of this watch was a Marshal of the 2nd Carabinieri Battalion “Liguria”, based in Sturla, a district of Genoa. During his years in service, the Marshal made friends with a group of Carabinieri frogmen who had received their training and equipment at the COMSUBIN base in Le Grazie, Portovenere near La Spezia. One of the frogmen gave him his 6152/1 as a gift. Watches of this size were very unusual back then so it comes as no suprise that it remained stored in a drawer until just recently, when it was found by the daughter of the Marshal. A true time capsule. 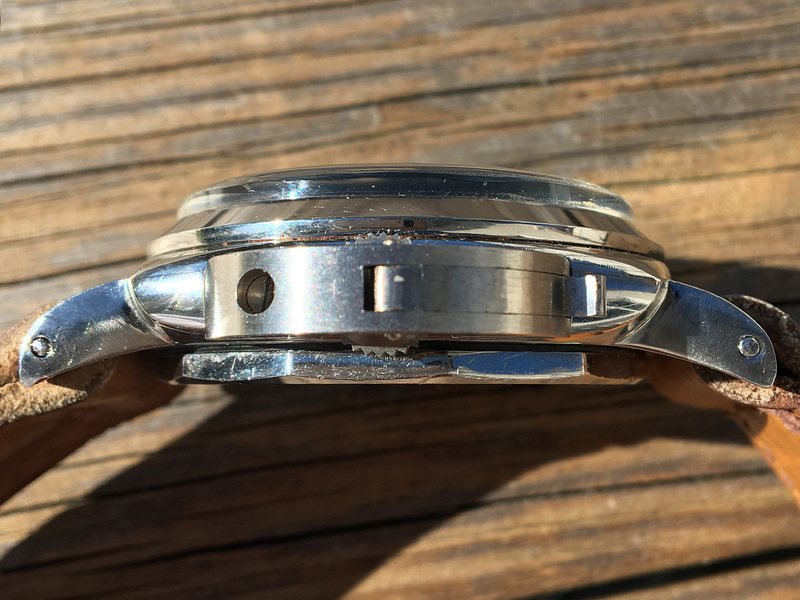 Luc contacted me on Sunday and sent me a bunch of photos of the watch asking for my opinion. Giuseppe Panerai filed the Italian patent for the crown-protecting (Tight Seal Device) device on Nov. 30, 1955. Many crown-protecting devices have additional “Brev. Ital.” engravings, an indication that this smart invention was patented in Italy. From a logical point of view it would make sense that only devices produced after the patent had been granted were marked accordingly. 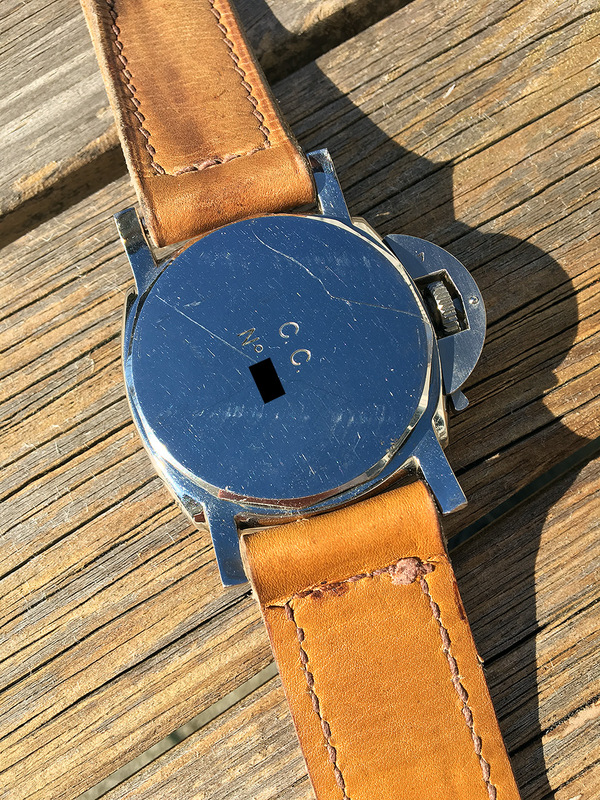 The crown-protecting device of this watch bears only the number 7. The riddle of these numbers ( 1 – 10) has not yet been solved. What we know for sure is that Rolex delivered all 500 Ref. 6152/1 watches with screw-down crowns. Panerai then removed the crowns and tubes and milled two slots off the cases in order to install their devices. Since the cases were hand made, they most certainly had slight irregularities in measurements. To deal with these tolerances, G. Panerai e Figlio probably produced 10 different stem/tube/lever combinations to grant a perfect fit. The devices were marked with a corresponding number for future replacements. 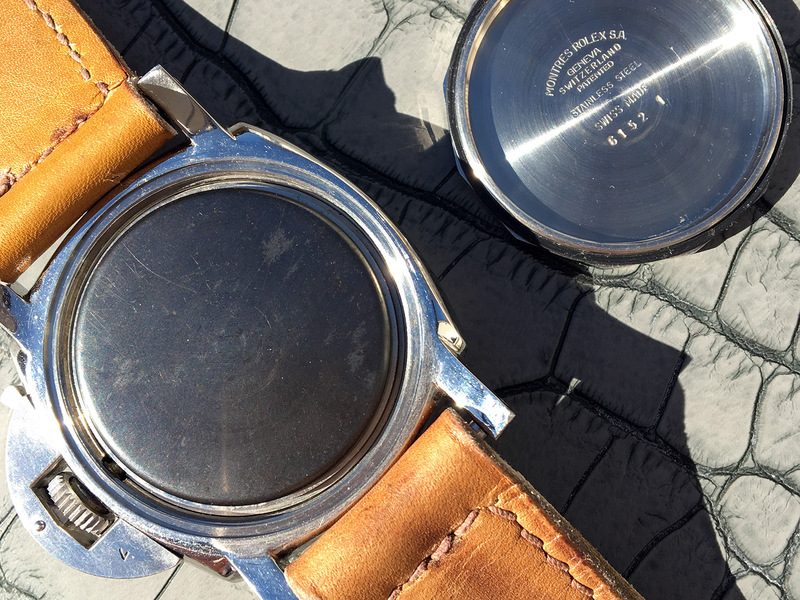 The condition of this watch is simply fantastic. The case was probably never polished. Ref. 6152/1 was equipped with a anti-magnetic dust cover made of soft iron, which was probably requested to protect the movement during the handling of magnetic mines. The leather colour and thread style of the strap are absolutely original according to Kostas Venizelos (Kostas Straps). Kostas has studied genuine vintage Panerai straps for many years and is without doubt the leading strap expert out there. This watch is a stunner, a perfect example of the important role vintage Panerai watches play in the horological world. Panerai watches were made for Italian navy frogmen, daring individuals who were secretly deployed whenever things got hot around the Mediterranean Sea. Their missions remain secret but their legend lives on through the watches. It was an great pleasure to help the current owner assessing this watch prior to the acquisition. I would like to thank Gabriel for giving me the opportunity to share his fantastic watch and the story behind it with Panerai enthusistas around the globe. I am so looking forward to see this gem in the flesh. The following picture is a great way to conclude. It shows Gabriel’s watch together with Luc’s. Two outstanding pieces of history belonging to two outstanding gentlemen. Both watches are part of The Panerai Time Machine. Click the image to zoom in. This timeline is available as a 150 x 85 cm (59 x 33 inch) print. There is regular edition and a limited edition of 50 pieces, signed by Maria Teresa Panerai, the widow of Giuseppe Panerai. Hurry, only 9 pieces are left. Hi, my name is Eros and I am Italian. 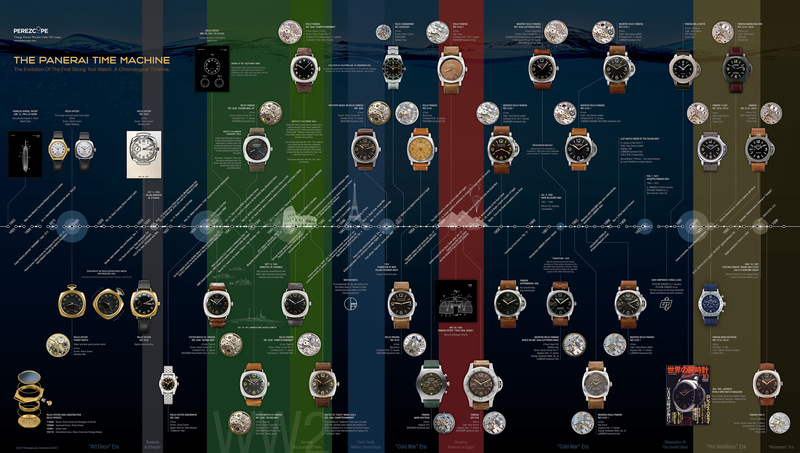 I am very happy each time to read and learn new story of Panerai word, in particolar the vintage. 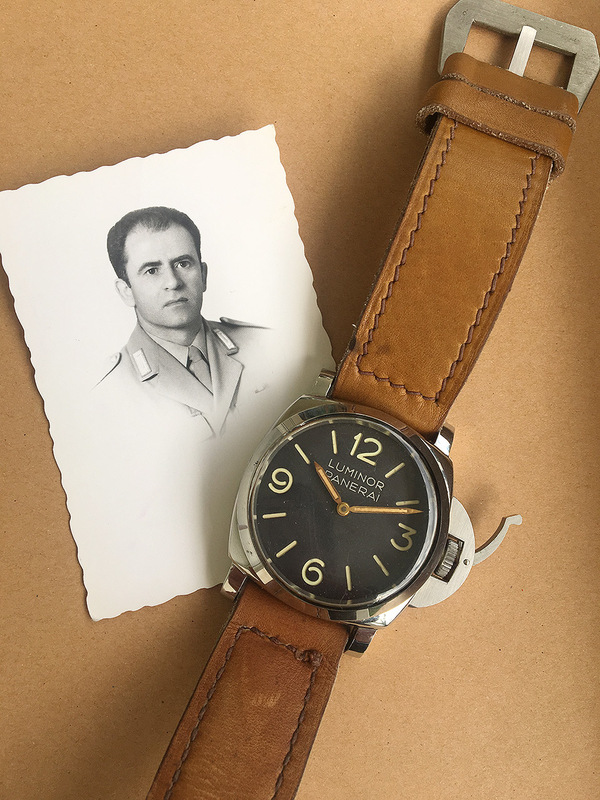 Ciao, sono Matteo grazie mille per la condivisione di questa storia e del grande lavoro che hai svolto in questo blog: è una miniera di notizie per noi appassionati di Panerai vintage. Great story! The missing “S” really speaks to the professionalism and attention to detail of the engraver. I guess there wasn’t any quality control back then? Wonderfully told story! 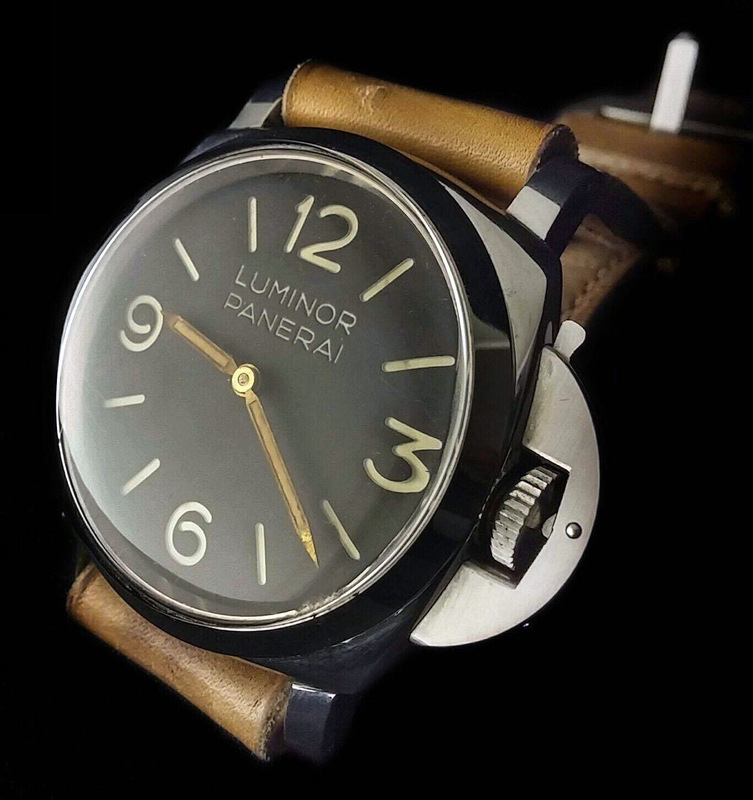 A true dream for any vintage Panerai collector. I’d love to know what the daughter was paid for this piece. That’s an inspiring piece for sure. What fun to read about these examples. What a fascinating story! Thank you, Jose!! !